14 September 2016. The qldwater "Big Day Out" started at Colleges Crossing with our inaugural “Mains Tapping Competition” where operators from Queensland Urban Utilities, Logan Water and Gold Coast Water went head to head competing for the coveted title and trophy. The winning team was Gold Coast Water with a super-fast time of 1 minute 49 seconds. H2flow kindly provided the water truck so this competition could take place. 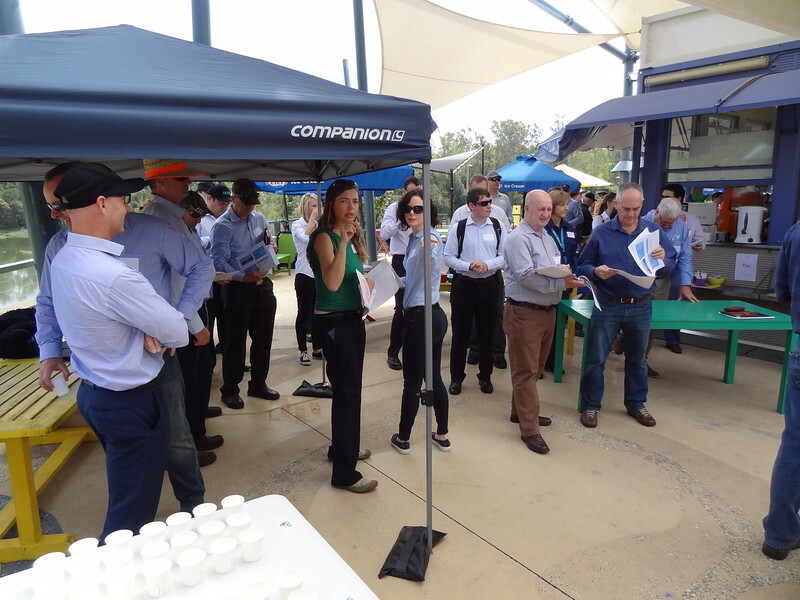 This event was followed by the Ixom Best of the Best Queensland Water Taste Test and Technical Tour of Mt Crosby Water Treatment Plant kindly hosted by Seqwater.